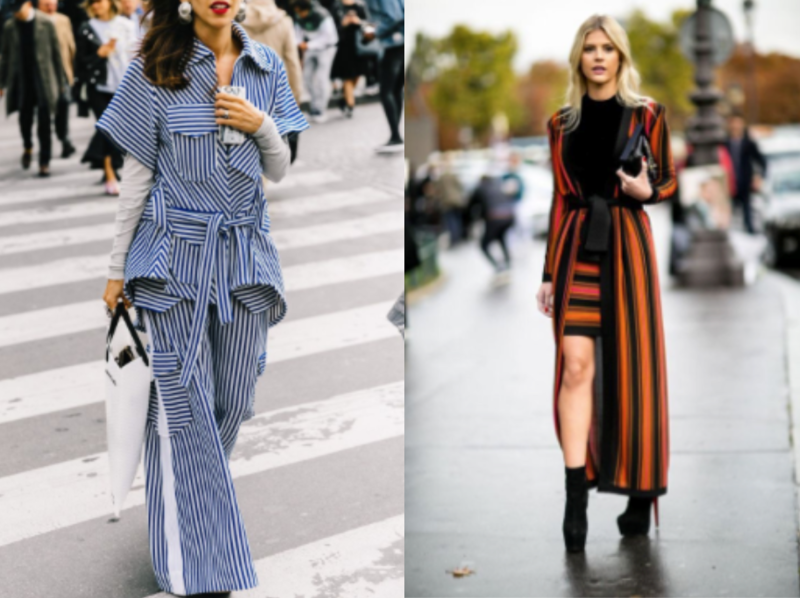 Stripes have always been commonly known as the pattern to avoid, whether it’s because “horizontal stripes make you look wide” or “tall people shouldn’t wear vertical stripes”. 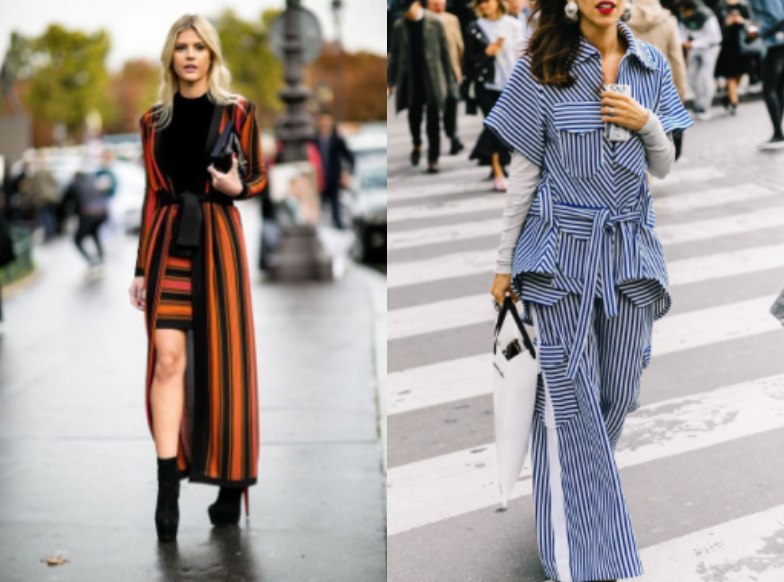 But this year, street stylers have proved the myths wrong and during February’s fashion week we saw a lot more than just horizontal and vertical stripes – we saw mixing of colours, directions, shapes and widths, too! Tying in with one of SS17’s key trends, bold colour, there are plenty of bright colours and mixtures of thin and thick stripes to make a statement in this year. 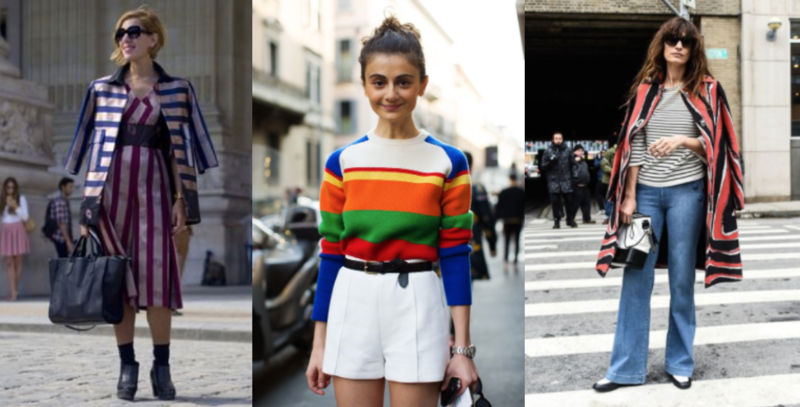 The trend can be worn with the colour in the stripes themselves or in a statement piece over a simple stripe. Street-stylers mixed and matched horizontal, vertical and diagonal designs, creating stylish, statement looks. Go against all instincts and mix it up with lightweight layering or oversized silhouettes for ultimate style points. Thick or thin, the monochrome stripe is a timeless trend that doesn’t seem to be leaving any time soon. Pair a smart pinstripe shirt or trousers with washed blue denim for an effortlessly stylish look or get set for summer by mixing and matching with bright, bold colours. Will you dare to clash stripes this season?